and operator. Typically, there are two different trip systems used: full-moldboard trip and trip-edge. The two will function differently when encountering obstacles. 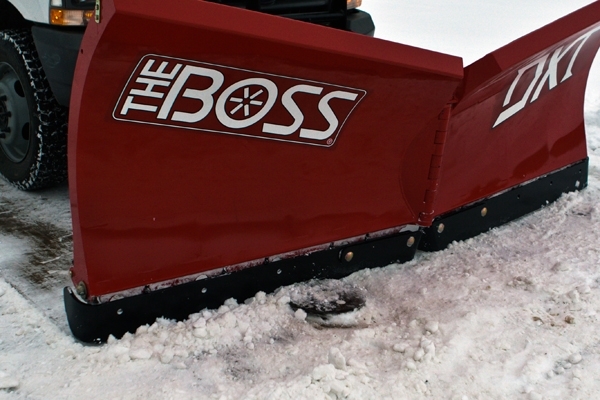 Generally, most plows are equipped with only one system or none at all, but here at BOSS, we think differently. We sat down with our engineer, Tristan Summers, who designed the DXT, for a personal insight into how the dual-trip plow came about. The DXT snowplow is armed with both a trip-edge and a full-moldboard trip to give you optimal protection against any obstacles you might encounter. Trip-edge. The trip-edge will help reduce the impact on your plow should you hit an obstacle smaller than 6 inches high, these are commonly man-hole covers or large cracks in the pavement. When the trip-edge hits these hidden obstructions, the edge of the plow trips backwards to “give way” to the object. This takes some of the force off of the entire plow, which means less damage to the plow itself, the front of your truck, and to you, the operator. Full-Moldboard Trip. As we all know, cracks in the pavement and man-hole covers aren’t the only obstacle out there. A trip-edge does not provide substantial protection when confronted with large icy snow banks or anything taller than 6 inches. That’s where a full-moldboard trip will be beneficial. Should you hit any object taller than 6 inches, the entire moldboard trips forward to cushion the impact. 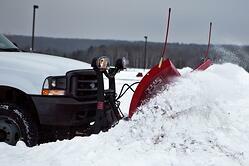 This greatly reduces the force on plow and truck and helps keep you and your equipment safe. What gave you the idea to build a plow like the DXT? Were there any challenges in designing the dual-trip system? Mechanically, how do the trip systems work? What happens when the trip-edge begins to wear? In your opinion, why do we make a plow like this? In short, by having both trip systems on one plow, you maximize the range of protection from potential obstacles. The combination of a full-moldboard trip system and a trip-edge will help keep you and your equipment running for longer.